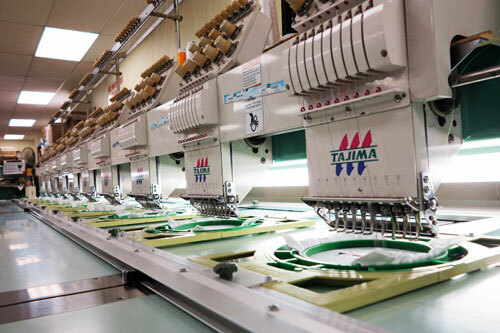 The workshop at A1 is equipped with world class, high speed, high capacity state-of-the-art computerized embroidery machinery. We can offer our customers embroidery services second to none on a surprising range of textile surfaces including caps and bags. 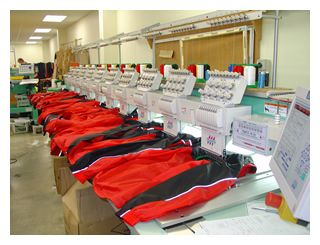 Our promise to customers is that we will embroider your design to your exact specifications and complete satisfaction. We have the ability to process large orders in short time frames when required. For inspiration, you may like to call into our showroom and view our ’embroidery boards’. They boast a selection of the many logos we have produced in embroidered form over the years. On those boards you will recognise many high profile organisations who remain happy, loyal A1 customers.